“The latest ONS figures show that employment is on the rise and earnings have finally begun to outpace inflation. This reflects the findings from our Q1 job market report, which revealed that salaries saw an increase of 1% last quarter, when compared with Q4 2017. This suggests that business across the UK are working hard to attract talented candidates to their vacancies. 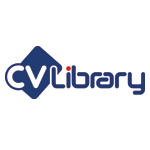 CV-Library is the UK's leading independent job board and we are experts in recruitment. We take pride in hosting 161,131 jobs across all sectors for the nation's jobseekers, and supporting recruiters and employers with our quality services.